Young girls, ages 13 and up, are encouraged to take a few moments of their day to pause, reflect, and renew their spirits with these 3-minute prayers. 3-Minute Prayers for Teen Girls by Margot Starbuck was published by Barbour Publishing in July 2019 and is our 1006th best seller. 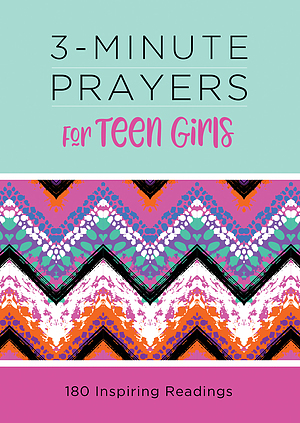 The ISBN for 3-Minute Prayers for Teen Girls is 9781643520551. Be the first to review 3-Minute Prayers for Teen Girls! Got a question? No problem! Just click here to ask us about 3-Minute Prayers for Teen Girls.